This four-part series details the causes and effects of the budget deficit facing Westford Public Schools this year, exploring its origins in terms of town revenue, state funding, and other major factors. This first installment summarizes the deficit and its immediate implications. 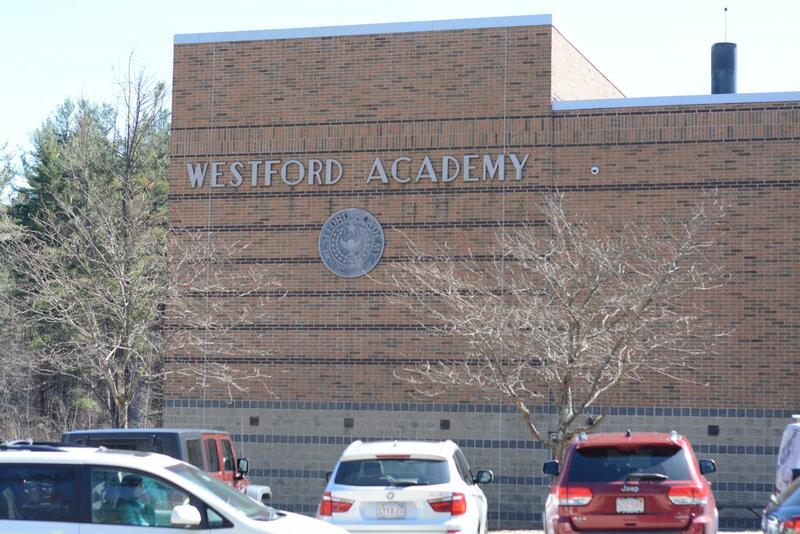 Westford Public Schools is facing a 1.2 million dollar budget deficit, leading to several programs being restructured or cut from the school system. The School Committee is now working to find ways to make sure schools are still high-performing with the limited resources they have. In short, the budget deficit occurred because the school budget did not increase enough to carry forward increased services. Superintendent of Schools Everett Olsen originally requested a 4.6% increase, but the actual increase was 1.6%. Olsen’s “carry-forward” budget, needed to maintain the school services for the new year’s population, was 3.3%. WPS will be seeing an increase of students due to Westford’s recent population growth; over 700 units are being built over the next three years and are expected to draw in a large number of families. Olsen is concerned about the funds to hie new staff in order to accommodate for the higher number of students, as the FY20 budget did not cover any salary money for new teachers next year. “We’re in a very precarious fiscal position moving forward, because the town will be growing in terms of population, and particularly school population,” Olsen said. The School Committee is currently unsure about how they will allocate the money they have, and this state of uncertainty is raising concerns about hiring teachers late. If teachers do need to be hired, they will not be selected until late in the summer, which limits the applicant pool. School Committee member Gloria Miller expressed that Westford is a desirable school district for teachers and is sure that WPS will be successful in picking qualified teachers. However, the time limitations could cause difficulties. “Fortunately, you know, Westford is a desirable district to work in. And I’m sure, you know, Superintendent Olsen and his team leadership team will be able to find the right people. But it really does. It puts them in a time crunch for making hires when we would prefer not to do that. I’d prefer to have, you know, have those hires made in advance,” Miller said. The school system takes up about 60 percent of the town’s budget. After adding other aspects such as retirement benefits for the staff, health insurance, and life insurance, it works out to be about 72 percent of the town budget. The school budget was limited this year in part because of a larger budget allocation being placed towards public safety. The Board of Selectman analyzed the fire department’s number of calls and their response times, after which the recommended hiring five more firefighters. Town Manager Jodi Ross has been working towards reaching this goal, but even so was not able to meet those requirements. “We value, obviously, the schools very much — all the kids going through the schools, education — but people have to be safe,” Ross said. Kost emphasizes that many of the so-called cuts are actually “restructuring,” or optimizing efficiency for every staff position in the district. For example, the Digital Learning Specialists, or technology experts meant to aid teachers with implementing technology in the classrooms, were replaced by a single curriculum coordinator at schools in elementary grade levels. However, efficiency does come at a certain quality cut, according to Miller. “There’s a compromise we had to make for efficiency reasons so then, that’s a loss,” she said. This is not the first time WPS is facing severe budget cuts, and this is the second year over a million dollars has been cut. Last year, there were various cuts from accounts and utilities, so no staff cuts were needed. This year, it will be much more difficult for the committee to work their way around the cuts. “For this next school year, we crossed over a threshold. We’re about 90 to 91% of our budget, is salaries and fixed contracts, we don’t have very many areas to turn to, in our budget for for further reductions. So we had to start reducing staff,” Olsen said. The School Committee hopes to continue to provide students with the same level of education so that each individual student can succeed, as well as the district as a whole. “We need to make sure that we continue to provide services for students, academic services and services to make sure that the social and emotional well being of our students is addressed,” Olsen said. However, the budget situation being as it is, the question arises: how and why did Westford get into this situation? The next part of this series will explore the Westford-specific factors that make school spending difficult.